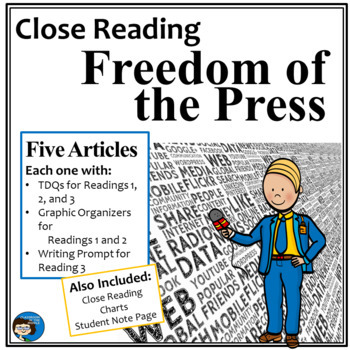 Also included are close reading charts and a follow-up activity. 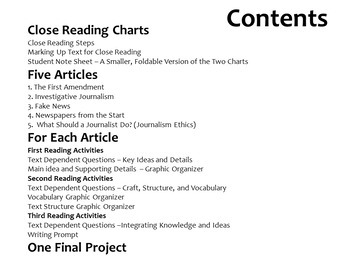 The two charts show students just what they need to do for each reading and the symbols for marking up the texts; plus, there is a smaller version of these two charts for students' notes. The follow-up activity involves research into a current events topic of the student's choice. The articles and the TDQs are arranged in a landscape, two-column format so that they can be folded to fit easily into students' notebooks. 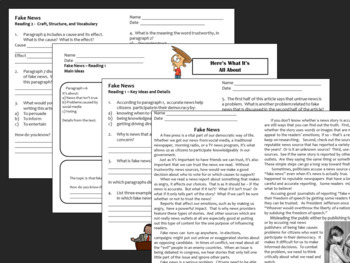 This packet is designed to be easy to use, with everything that you need to do a full close reading of each of the five articles. 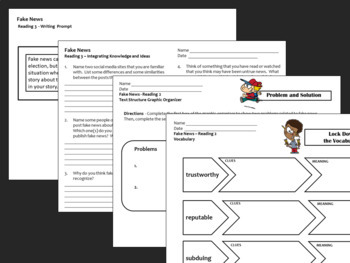 The activities support Reading: Informational Text standards such as using text evidence to make inferences, determining main ideas using text evidence, identifying text structures, and using clues in the text to define words. See more informational text resources here, in my store.